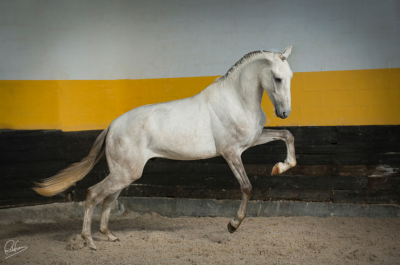 Our youngster Lusitano. This 3 years old stallion has a great potential, is very calm and friendly. His great movement and will to learn gives us a real pleasure at work.